Georgia State University's College of Arts and Sciences, and Department of Communication, would like to invite you to a very special Documentary Symposium on October 19th and 20th, 2013. The Film Production and Moving Image Studies programs will bring the internationally acclaimed Hungarian filmmaker Peter Forgács to present and discuss his rarely screened films Freefall and The Maelstrom. 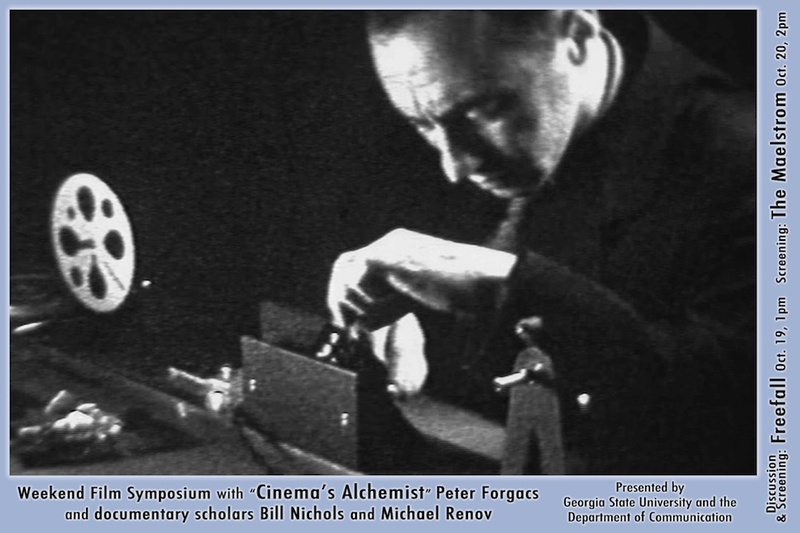 The College is also pleased to welcome documentary film scholars Bill Nichols and Michael Renov, co-editors of Cinema's Alchemist: The Films of Péter Forgács, who will participate with Forgács in post-screening panel discussions revolving around his films. Joining in the panel discussions will be Associate Professor Jennifer Barker from Georgia State University and Assistant Professor Vinicius Navarro from Georgia Tech.